NibbleNOT® is happy to offer our High-Visibility Saddle Tag/Pet IDs to our customers! Our tags are constructed of durable Nylon webbing in assorted colors, 1/2″ or 5/8″ in width, with easily readable white or black vinyl lettering. 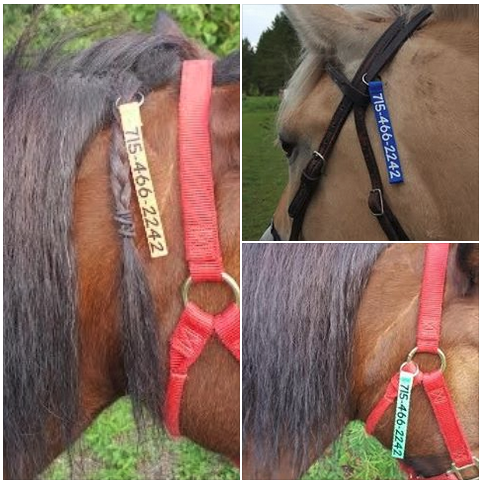 Each tag is printed on both sides and is absolutely ideal for attaching to your saddle or headstall, braiding into manes or tails, or attaching to your dog’s collar or harness.